I am currently in the process of, albeit slowly, revamping the house. I made a start on Munchkin’s room and there are pics on my instagram feed of the wallpaper I hung up all alone. (Aren’t I clever?!) We then decided that we were going to convert the garage into an extra bedroom which will probably end up being Munchkin’s room, so I stopped with her bedroom and my eye turned to mine. 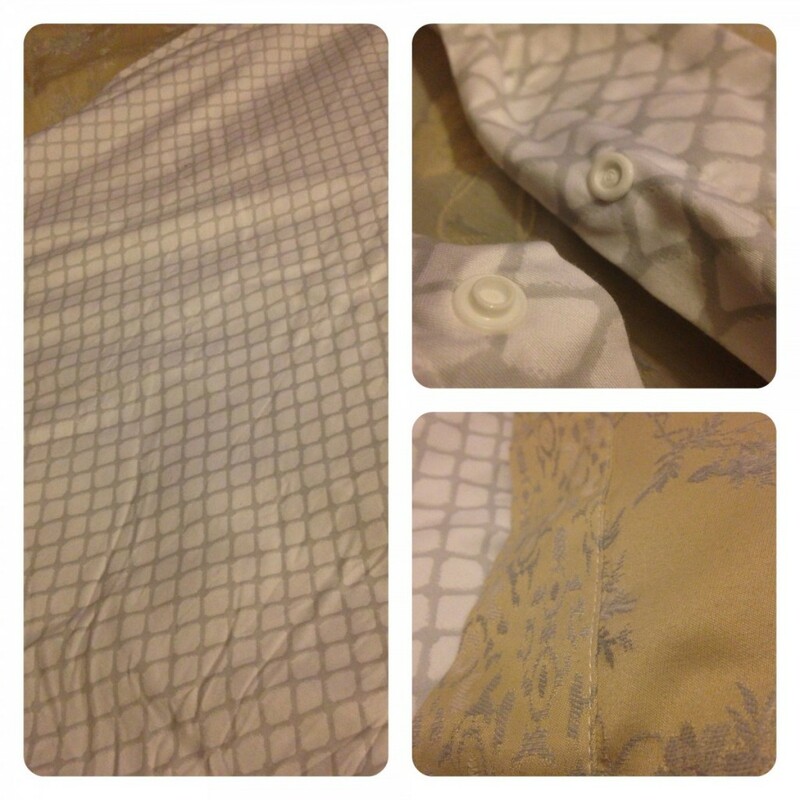 I was pleased to be offered at the perfect time, a duvet set from Sheridan to review. From pioneering beginnings as Australia’s first ever textile printing business, to driving collaboration with Australian artists in the 1980s, Sheridan is a global market leader steeped in artistry, craftsmanship and quality. 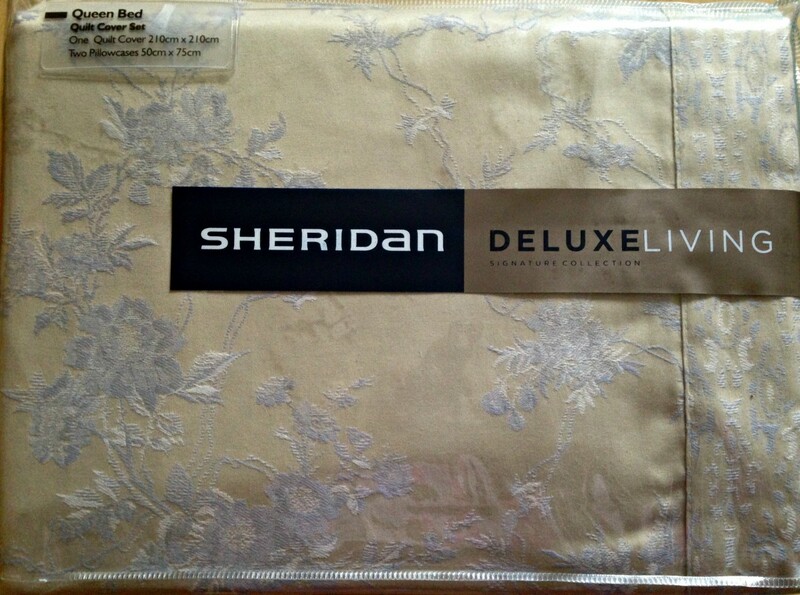 With beautiful bed linens, towels and home accessories, Sheridan has an unparalleled product offering. Designs are hand painted in Sheridan’s Sydney design studio, and transformed into textiles by Sheridan’s expert craftsman. Every stitch, every weave, is considered, and never meets the customers hands without meeting the most rigorous of Sheridan quality testing standards. A rich heritage has been shaped by visionary founder Claudio Alcorso, a man who not only established Sheridan as the progressive brand it is today, but a man who indelibly shaped Australia through his involvement with the arts, environment and Australian culture. His legacy is a pioneering spirit that drives Sheridan’s passion for innovation today. Inspired by the beauty of Australian colour and light, Sheridan designs are unique and timeless artistic contributions. Whether the designs are hand painted in Sheridan’s Sydney design studio, or commissioned by a celebrated Australian artist, Sheridan transforms art into the everyday, featuring these timeless artistic creations on bed linens and home accessories. If I am honest, I usually just grab duvet covers that tend to match the decor of the room (ie same colour) and often when they are on sale. I have never really purchased what you could say is ‘luxury’ bedding. 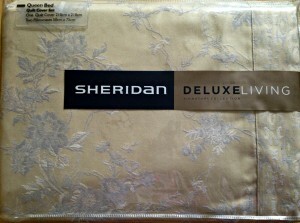 The Sheridan duvet set I received has shown me what I have been missing out on and is a real treat! The first thing I noticed when I unpacked it was the luxurious feel. The set is made out of polyester and cotton jacquered weave, with the reverse being 100% cotton sateen. 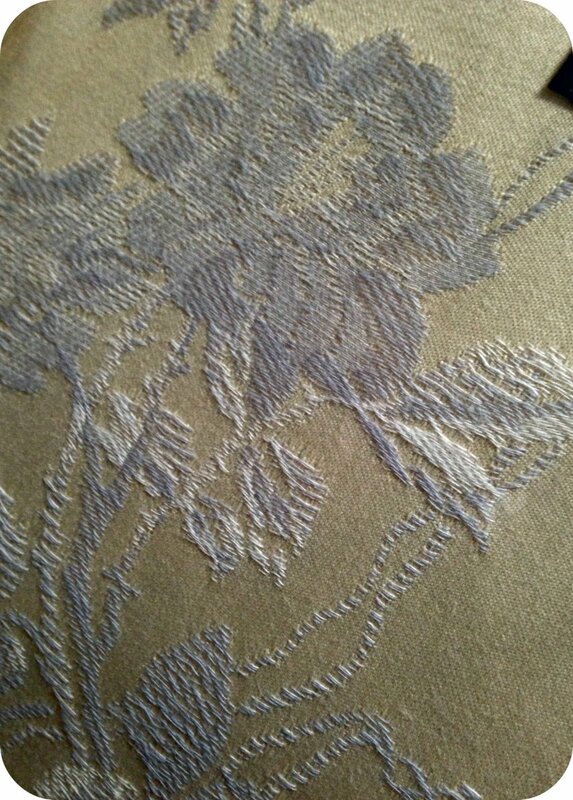 The reverse of the duvet cover and the pillows are stripey, and the whole set looks classy with the delicate flora weave. The pillowcases also have a border in an intricate ikat inspired design which is just stunning. Sheridan can be found in House of Fraser and Debenhams in the UK. They also have a store on Kings Road with outlets in Braintree, York and more recently in Cheshire Oaks. Sheridan recently launched a loungewear range, and also have a baby range. I adore the baby range and will keep that in mind if I do have another baby (currently no chance of that!) They also have other products planned for the future so keep your eye out! The duvet set is very comfortable and makes you feel as if you really are sleeping in luxury! I am now a fan of their bedding range and am planning to get some more! Disclaimer: I was sent a Queen duvet set for the purpose of review. However all thoughts and opinions are my own. I do love bedding which has a really luxurious feel to it – it makes sinking into bed after a hard day so much more rewarding! My MIL has this sort of bedding. She loves it. It is a bit grown up for me! It looks very luxurious. My current bedding is a little shabby and covered in dog hairs. not stylish at all! I like the pattern you picked. It looks very lush and inviting. This looks like lovely bedding. The flower detail looks fab! I’ve always bought bedding on offer before as I have the same problem as Louisa-dog hairs everywhere! What a lovely set. I may have a look at the baby range for my niece. I’m off to a Sheridan press day next week, I’m very excited now because this bedding looks absolutely gorgeous! wendy recently posted…Do I Feel A Failure ?